Nothing moves faster than light, right? True as that may be in theory, a team at MIT has developed a method for visualizing its propagation to amazing effect in practice. 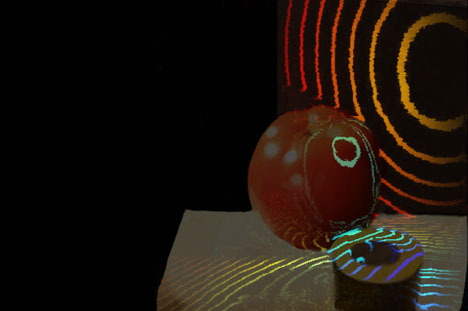 Slowed down and turned into film format, an illuminated tomato goes from ordinary to uncanny as a snaking arc of white light approaches in a billionth-of-a-second burst, then deforms to move across it, with an unrivaled FPS rate.